Speaking at length about his early production techniques and the rise of Cash Money Records in a retrospective interview with Complex, Mannie Fresh detailed the development of artists like Juvenile, B.G., and Lil Wayne while highlighting songs like “Solja Rag,” “Bounce Slide Ride,” “Bling Bling,” “Tha Block Is Hot,” and more. The Big Tymers producer also pointed to moments from his catalog leading all the way up to his contributions to G.O.O.D. Music songs and his current work with Yasiin Bey. Explaining the inception of the label and its early success as a function of Lil Slim’s single “Bounce Slide Ride,” Mannie Fresh detailed the general transition from bounce music to more explicit Rap. Recalling his first time meeting Juvenile, Mannie Fresh went on to outline how the New Orlean’s emcee became a flagship artist for Cash Money. Addressing another new-to-the-label rapper in B.G., Mannie explained his true-to-life lyricism and struggles with drugs. 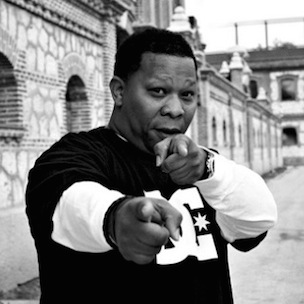 Speaking more generally about Lil Wayne’s career specifically, Mannie Fresh attributed the rapper’s sustained commercial success to his obvious work ethic. “What was so incredible about Wayne, he always knew what songs were hits and would always come back around to it,” Fresh said. “I might have played before and nobody said anything about it. When the room cleared up like, ‘What about that beat? Can I get that? I heard that played three times and nobody did nothing to it, I already wrote the rap to it.’ I’d be like, ‘OK, let me see what you going do it.’ And he killed that beat. At the end of the interview Mannie Fresh spoke about his current collaboration album with Yasiin Bey, tentatively titled OMFGOD.